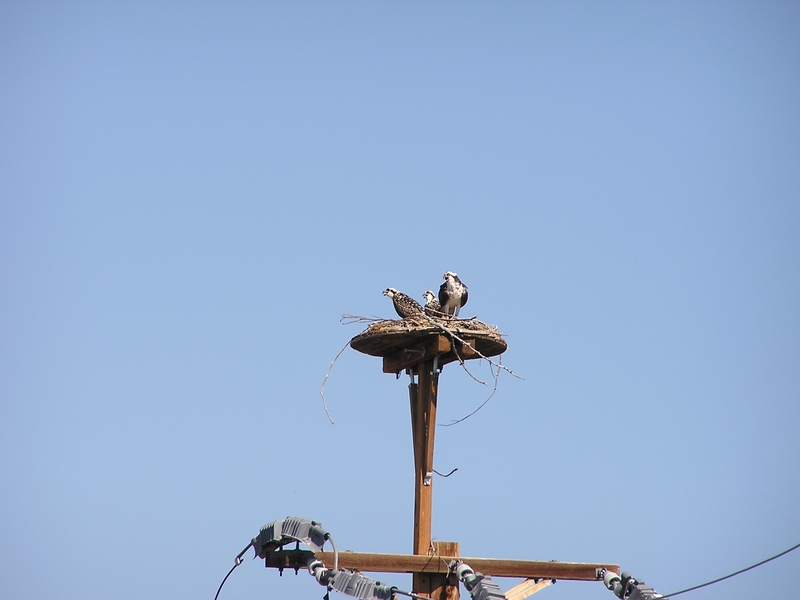 Osprey Nesting Platforms /Hawks Aloft Inc. I have a cabin and several acres of land on the north side of Heron Lake in northern NM. I have a tall dead ponderosa pine that I have seen used by hawks and eagles in the past. There are no power lines anywhere near the tree. The original top of the tree snapped off years ago, so the trunk of the tree is substantial all the way to what is now the top. The top is still notably higher than all of the surrounding juniper trees and provides a view of the lake which is just a few hundred yards away downhill. 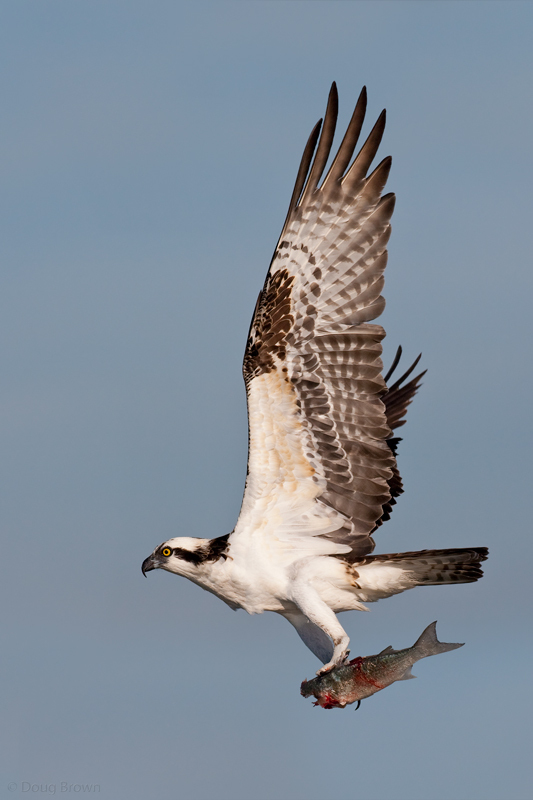 Recently I watched an osprey just sitting at the very top for over one hour. In the past I have seen an osprey nest on a platform built by NORA on the south side of the lake. So I thought it might be productive to build a platform at the top of my old ponderosa to promote an osprey building a nest there in the future. Please send me info on what is the best way to build such a platform. How much platform area is needed? Should there be a lip around the edge? If so, what size? Should there be lots of drainage, or is solid plywood OK? Is there a good book or leaflet guide you can point me to look at? etc. Any info you can send will be appreciated. So, we talked to our friends at PNM and received this response and several images from John Acklen, Senior Environmental Scientist. 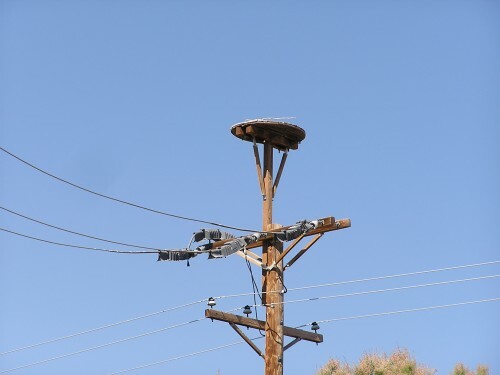 This picture shows an Osprey platform that PNM installed up near Cochiti Dam. It has been occupied every year for the last 15 years at leas, but blew down in heavy winds earlier this year. It consists of one end of a wood reel used for utility wire. You should be able to get one of these from your local utility, Northern Rio Arriba Electric Cooperative. I suggest getting a grape vine wreath and attaching it to the top of the reel top–maybe drilling some holes and wiring it into place. It will create a nest substrate. Michael’s at Wyoming and Montgomery has some nice ones (36″ in diameter). We are planning to add a wreath to top of our platform and wire it securely in place for use in the 2013 nesting season. Another possibility is putting in some metal bolts into the reel top and weaving some sticks in between to get them going and secure the nest.